Medically unexplained symptoms and somatisation are the fifth most common reason for visits to doctors in the USA, and form one of the most expensive diagnostic categories in Europe. The range of disorders involved includes irritable bowel syndrome, chronic widespread pain and chronic fatigue syndrome. This book reviews the current literature, clarifies and disseminates clear information about the size and scope of the problem, and discusses current and future national and international guidelines. It also identifies barriers to progress and makes evidence-based recommendations for the management of medically unexplained symptoms and somatisation. 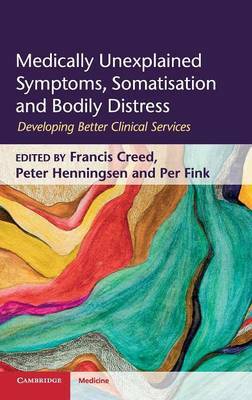 Written and edited by leading experts in the field, this authoritative text defines international best practice and is an important resource for psychiatrists, clinical psychologists, primary care doctors and those responsible for establishing health policy.